Marcia and I wanted to thank you and your entire crew, again, for the outstanding job you did for us. In many years of remodeling, it is difficult to recall another professional relationship which has proved so satisfactory in every respect. 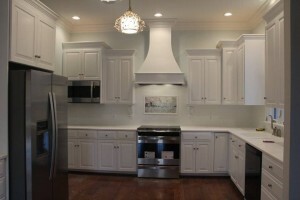 The cabinets you built are exactly what we had hoped for and blend beautifully with the existing ones. Most important, however, was your attention not only to craftsmanship in both the shop and field, but to the subtle aesthetic details which distinguish a well-done and carefully thought out custom job. We particularly appreciated your accommodation of our schedule, your timely response and your helpful suggestions. In closing, we must single out your installation crew for their excellent attention to detail, professionalism and consideration. They seemed genuinely concerned with our satisfaction and anxious to disrupt our lives as little as possible. On behalf of the members of Heritage Baptist Church let me express our thanks to you for the fine job you and your staff did on the kitchen. it is simply outstanding. I know the ladies of the church will greatly appreciate not only its beauty but functionality for years to come. Thanks again for your investment in our dear church. Recently, I asked you to come to our residence to see if you could correct a slight problem with the installation of our drop-in stove in our “new house”, one completed over two years ago. While the problem with the fit of the stove into your cabinets was not the fault of Scott Cabinets, you not only fixed the problem with expertise but I was pleasantly surprised to find a “No Charge” on your invoice to me. More important to me than the lack of a bill was the message you sent by not charging us for your service; Scott Cabinets is determined to stand behind its product in a most professional manner with excellent quality, service, and cooperation. 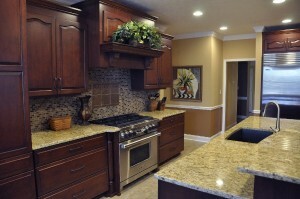 Scott Cabinets will come most highly recommended by us whenever we have a chance to do so. Quality makes a difference in everything we do or are involved with in life. Quality is obviously extremely important to you in how you run your operation. I would like to express my sincere thanks for the quality of professionalism exhibited by you and your staff on our cabinet job in Oak Park. Tommy, as you know, building a house can be a gruelling experience at times. 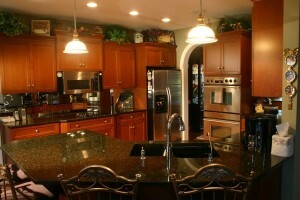 However, you made one of the most important components of the inside of our house a pleasure from start to finish. You bent over backwards to work with Treena and myself, and I truly appreciate it. 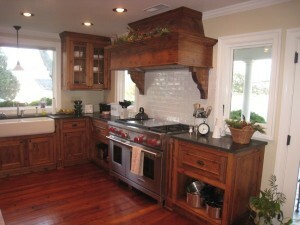 The quality of your product is definitely unsurpassed by any cabinet maker in the area. If at anytime you would like to use me as a reference for any of your potential clients please feel free to do so. Thanks again. Quite often businesses only hear when they’ve done a poor job. I just wanted to let you know how my entire family- Mom especially, aunts, uncles, brothers and sisters all were so impressed with the quality, workmanship and overall look of the job you did for my mother. Some of the complements I heard were, “Look’s like real furniture” and “Perfect fit”. If my family was a little bigger you could quit paying for advertising, because they are all telling everyone what a great job you all did. Many thanks and I’m sure if anyone in my family need’s cabinets, you will be their first stop.